It can also be about adventuring with friends or watching the sun rise over a blocky ocean. It’s pretty. Brave players battle terrible things in The Nether, which is more scary than pretty. You can also visit a land of mushrooms if it sounds more like your cup of tea. Minecraft is a game about breaking and placing blocks. At first, people built structures to protect against nocturnal monsters, but as the game grew players worked together to create wonderful, imaginative things. As Minecraft is now one of the most influental and popular games of the last decade it made sense that someone would make a book about it. In fact a ton of books have been written about Minecraft but the one that I saw sold in stores and advertised the most is Scholastic's 2014 "Minecraft The Essential Guide." It's priced right for it's audience and at $7.99 it's an impulse buy for anyone curious about what the game is. So many copies of this book have been sold that I found it used at a second hand thrift store for $3. Since I own a few video game guides and this one is the right kind of pocket sized hardback in great condition, purchasing it seemed like the right... Read All As Minecraft is now one of the most influental and popular games of the last decade it made sense that someone would make a book about it. In fact a ton of books have been written about Minecraft but the one that I saw sold in stores and advertised the most is Scholastic's 2014 "Minecraft The Essential Guide." It's priced right for it's audience and at $7.99 it's an impulse buy for anyone curious about what the game is. So many copies of this book have been sold that I found it used at a second hand thrift store for $3. Since I own a few video game guides and this one is the right kind of pocket sized hardback in great condition, purchasing it seemed like the right thing to do. If you've played Minecraft for a while now nothing in this book will be new to you. In fact, it's already aged as there are things in Minecraft the guide doesn't cover. That said, if you like collecting stuff about the games you love then this will be a fun romp through the high points of Minecraft. The book has a brief history of Minecraft and contains a really good primer on how to get in and play the game quickly. It even features sections by Paul Soares Jr, Notch and Jeb that really light up the book with a bigger context to the history of the game and some of it's biggest players. For Mincrafters like me that haven't memorized every recipe, it's nice to have this guide tell you but obviously an Internet search could yield the same result. Still, it's nice to have it all in this little book and if the Internet goes out and you HAVE to play Minecraft and need to craft a bucket this is a nice option. This book is so well put together that it feels like Minecraft from the header fonts it uses that mirror the base game to how the pages are laid out. It really feels like a Minecraft field guide that you'd want if you were inside the game and I bet the kids that got this as a present loved it. The practical tips it gives are also spot on and one specifically from Paul Soares Jr. about building a house and putting a light on top of it you can see from a distance to not lose your house are super helpful. If you love Minecraft or want to get a fun gift for someone this book hits the sweet spot at $7.99. But if you don't like Minecraft or the thought of owning some dead trees turned into a physical book isn't your thing, skip it. If you haven’t paid attention to Minecraft in the last few years, there may be a lot you may not know about. I’m going to try to cover some of those things, including things added before the current release (1.12.2). One of the enchantments recently added is called Mending, which is definitely a game changer. It uses experience gathered and repairs an item with the enchantment. From the wiki, “when an item with the enchantment is held (main hand, offhand, or armor slots), XP orbs collected will repair the item at a rate of 2 durability per XP instead of adding the XP to the player's total. If multiple items have the enchantment, one will be chosen at random for each XP... Read All If you haven’t paid attention to Minecraft in the last few years, there may be a lot you may not know about. I’m going to try to cover some of those things, including things added before the current release (1.12.2). The problem with Mending is that it’s hard to find. It’s counted as a “treasure,” so you can only get it by trading with an NPC village librarian, fishing, or in a chest. The last two options take forever, but the first one seems to be the most efficient, which is why I’m sharing this pro tip! I don’t recommend enchanting a bow or fishing pole, because eventually you will get them while fishing. Fishing is a great way to get some experience, food, and items. You can get other enchantments from fishing once you get a good fishing pole (from fishing), you’ll eventually get better loot more often. While you’re fishing, put whatever item with Mending that needs repaired in your off-hand slot and continue fishing. Eventually, your Mending items will be repaired! I still haven’t been to an Ender City, nor have I gotten an Elytra (wings), so I’m still checking out some of the content that’s been released in the last few years. There are new enchanted arrows that I haven’t messed with yet. I like the Frost Walking enchantment, it turns water to ice, letting you walk on water. I got parrots on another world, I think the game still needs more birds. I also really love that they added an off-hand slot and shields, at least for the Java version. Now you can’t block with your sword, but you can make a shield. You can put a banner on it and it can also be enchanted with Mending and Unbreaking. There are some new enchantments called curses. There’s a Curse of Vanishing, which makes the item disappear on death. However, this can be prevented by using the “/gamerule keepInventory true” command. There’s also a Curse of Binding, which makes it so that you can’t unequip an item, until you die. I don’t like these curses and I try to avoid them. I think I got one while enchanting something with the enchantment table, so I’ve been using my anvil instead. You can enchant items with the anvil and enchanted books. Following the development of the game, it looks like 1.13 will contain bug fixes, but 1.14 is going to contain some new content. They’re adding more to the oceans, including dolphins and a few other new mobs. Named “The World of Color" update, 1.12 appears to be coming soon. As it pertains to the name, the game’s color palette is getting an overhaul. Minecraft is finally getting some birds! Parrots are really interesting mobs. They will mimic the sounds of other mobs around them. They’ll also follow all mobs, whether they’re hostile or not. You can tame them with cookies. This is the addition I’m most looking forward to. I want the blue one, of course! This update also introduces a new feature, the recipe book, which makes it unnecessary to look up crafting recipes. You’ll see it in your inventory screen. If you use it and select what you want to craft, it will put the... Read All Named “The World of Color" update, 1.12 appears to be coming soon. As it pertains to the name, the game’s color palette is getting an overhaul. This update also introduces a new feature, the recipe book, which makes it unnecessary to look up crafting recipes. You’ll see it in your inventory screen. If you use it and select what you want to craft, it will put the required materials in the required order, so long as you have the materials in your inventory. The achievement system has been updated as well. The game will also run on Java 8. There are plenty of other things in this update. To get a good feel of what’s in it, I recommend watching the video in this post. Minecraft Everywhere, With Super Mario on The Wii U! "On May 17, the Super Mario Mash-Up Pack comes to Minecraft: Wii U Edition as a free game update. After downloading the update, players who own the Minecraft: Wii U Edition digital game, which launched last December, will have immediate access to new skins, a Super Mario-themed pre-made world and a set of Super Mario-themed music and item textures." If you were looking for one of the coolest Minecraft updates it might be coming to the Wii U. The Super Mario Mash-Up Pack is going to add a ton of really incredible Mario themed gear in Minecraft making this version pretty compelling. I imagine you can get similar stuff on the PC with mods but this comes for free and... Read All "On May 17, the Super Mario Mash-Up Pack comes to Minecraft: Wii U Edition as a free game update. After downloading the update, players who own the Minecraft: Wii U Edition digital game, which launched last December, will have immediate access to new skins, a Super Mario-themed pre-made world and a set of Super Mario-themed music and item textures." If you were looking for one of the coolest Minecraft updates it might be coming to the Wii U. The Super Mario Mash-Up Pack is going to add a ton of really incredible Mario themed gear in Minecraft making this version pretty compelling. I imagine you can get similar stuff on the PC with mods but this comes for free and automagically available to Minecraft Wii U owners. Nice! I got Minecraft for the Wii U for my son a while ago. Neat. Let me know how the new DLC plays when it drops. I'm glad you posted this to let me know about it. I'm also glad I saw this post again a while ago, which reminded me about it. I loaded the game so I could get it for Vinny, but I didn't see this DLC listed. I went to the Nintendo eStore to find it, it wasn't there either. The game did tell me that updated data was downloaded, but that's about it. I finally figured out out to access it. If you choose to create a new world, you'll see the Mash-Up Pack in the options. I didn't play around with it, but I told Vinny about it. So, I don't have my own experience to share with you, just my initial impression of looking at the screen every now and then and hearing it while Vinny played it. The blocks do look like a mix between Mario and Minecraft, which should be expected. I think it looks kind of cool. At one point it looked like Vinny was in the Nether, which looked a lot like a place where you'd expect to see one of Bowser's castles. Although I recognized some music from Mario 64, some of it sounded kind of like a carnival, which I didn't really like. I may play around with it some time or watch Vinny play it some more. Anyway, I just thought I'd share my initial impression with you, since you asked. Well, it's been over a year and Mojang is almost ready to release Minecraft version 1.9. I can't recall exactly when I was aware of this new version, but I know it's been quite a while now. As far as my own personal knowledge, this is called the "Combat Update" in which we will be able to dual-wield things such as holding a torch and a sword, maybe a shield? I also know that arrows are getting the various buffs or debufffs, so if you want to heal yourself, you can make healing arrows, shoot them straight into the sky to have them hit you, and then you'll have that buff. Recently, I found out that the latest update is finally ispre-release and is expected to be fully... Read All Well, it's been over a year and Mojang is almost ready to release Minecraft version 1.9. I can't recall exactly when I was aware of this new version, but I know it's been quite a while now. As far as my own personal knowledge, this is called the "Combat Update" in which we will be able to dual-wield things such as holding a torch and a sword, maybe a shield? I also know that arrows are getting the various buffs or debufffs, so if you want to heal yourself, you can make healing arrows, shoot them straight into the sky to have them hit you, and then you'll have that buff. Recently, I found out that the latest update is finally ispre-release and is expected to be fully released next week (2/25). Not much of what I've learned about this new release really makes me want to jump into the game again, but it also seems as the The End is getting a new area with new things, so I think that will be cool to check out. I've recently decided to rewatch the Minecraft tutorial "Survive and Thrive" videos by Paul Soares, Jr. 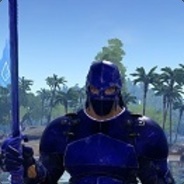 I watched all of his pre-1.8 videos before I played the game. It did take a while for me to become aware of the game. Initially, my son, Vinny, was really interested in it and I even had a copy for him to play on my computer, but I hadn't played it. Once I watched Paul's videos, I decided to jump in and it's hard to describe how it made me feel. I really enjoyed it, perhaps much more than I expected. I love the music, it seems so relaxing. I also enjoyed the open world exploration, mining, and crafting parts of it along with taming animals. So, since then, I've definitely fallen in love with the game and enjoyed it. It's even become something I've looked for in other games. I have, however, not done everything in the game. Re-watching Paul's videos reminds me of the things I've missed out on like the beacon and Wither boss. So, I'm curious what my fellow Ghosts think about this new update. Are you excited about it or are you done with the game? Are you going to jump back into the game? After I told my son, Vinny, about the new release expected to come out next week, he's been pretty excited. He asked me how I feel about it and I honestly told him that I do want to play it again when the new version is released. He wants to play together again, on a server, which I've done for us before and I may do again. One of the cool things about the game is that it bridges so many generational gaps and allows people of all ages to play together and have fun. From my experience, it's definitely been something I've enjoyed doing together with my son. Other versions of the game are expected to receive an update, too. I'll include links to those details below. I do have the Windows 10 and Kindle Fire versions of the game, but I've come to the conclusion that, so far, the regular PC version (for me at least) is the best. I expect other versions (like the Windows 10 beta) to grow and contain everything that's included in the main version of the game, but it's disappointing to play them now knowing that some things are missing. Interested in dual wielding for sure. That said, not much in that Gamespot article is mentioned for content for the patch. The full list looks to be coming next week. Oh and yes, please post your review of 1.9! So, I spent some time playing with the new update and thought I'd share my initial reaction. It seems a lot has been added, so you can look at the link below for more info. I did watch a video, which covered many of the new changes. Right away, the most notable change is the combat system (hence the name "Combat Update"), although this entails more than I was expecting. Dual-wielding is as I described in this post, which is actually helpful. If you're walking around with a sword in your main hand and a torch in your "off-hand" slot, then you can right-click to place a torch without having to switch between the sword and torch individually. You can put items in that off-hand slot by clicking on them in your inventory and pressing the “F” key. Of course, the main item you probably want there is the newly added shield. I think I read in another article or perhaps heard in the video I watched that blocking with a sword is no longer an option, which pretty much makes sense. I think it's pretty cool, especially since a skeleton can shoot you from a distance while you run up to it to hit it with your sword. This is especially good early in the game when you don't have a bow yet. Shields can also apparently be decorated with banners. "Attacking now has a 'cool-down' delay, making it more important to time your attacks." This basically means that if you spam the attack button (left mouse button), your attacks will do less damage. So, it's better to wait between each attack. I think this also gives you time to use your shield while waiting for that “cool-down” period. I also noticed that the sword has a new swing mechanic or animation and hearts appear on enemies when they take damage. I'm assuming this shows how much damage they've taken. Another thing I noticed is that some of the sounds are different. I'm not sure if squids had a sound before, but they definitely do now. They have also made additions to the End. Apparently, there are new islands you can visit, but I think you get there after defeating the Ender Dragon. They've changed that battle a bit, too, as it now attacks differently and can be re-summoned. There is apparently something else in this new area that lets you fly, which seems pretty cool. I think a separate post outlining what is in the update might be good so others can see it. On 9/2/14, Minecraft was updated to version 1.8. This update is called the "Bountiful Update." It contains many new features and improvements. For a detailed description of the new update, please see the wiki (http://minecraft.gamepedia.com/1.8). In the meantime, there are a few changes that I wish to report, I may even save one of the best things for very last. Four of the new blocks that have been added to the game include andesite, diorite, granite, and slime blocks. The first three, in that list, are new rocks which can be crafted into "polished" versions. Andesite and diorite look similar to gravel and cobblestone, while granite looks almost like dirt. All three... Read All On 9/2/14, Minecraft was updated to version 1.8. This update is called the "Bountiful Update." It contains many new features and improvements. For a detailed description of the new update, please see the wiki (http://minecraft.gamepedia.com/1.8). In the meantime, there are a few changes that I wish to report, I may even save one of the best things for very last. Four of the new blocks that have been added to the game include andesite, diorite, granite, and slime blocks. The first three, in that list, are new rocks which can be crafted into "polished" versions. Andesite and diorite look similar to gravel and cobblestone, while granite looks almost like dirt. All three are very abundant and easy to find. So far, I have used all three polished versions to create a house in my new world. I have not yet had any experience with slime blocks, but I know that you can bounce on them. One of my favorite YouTubers has a video regarding this new update, which I recommend watching (http://youtu.be/Q9ykTDAFl7E?list=UUP6f9x4iXk3LH8Q1sqJmYPQ). There are now also ocean monuments which are underwater and apparently filled with water. I have not yet found one, so I can't quite report on it. I know that these monuments contain guardians, which are a new mob. There are also new blocks within these monuments including prismarine and sponges. For more information visit the wiki (http://minecraft.gamepedia.com/Ocean_monument). Finally, I think the most important part of this update is that the game's performance has been greatly improved! When I got my new PC many months ago and played Minecraft, I was impressed by how far I could see, but still disappointed in how long it took chunks to load. Since I've been playing with this new update, I have not had any issue whatsoever with chunks loading. The only chunk loading I noticed was initially when I spawned in my new world, but that's it! Previously, while walking around, I had to wait for chunks to load, I no longer have to wait at all! There is also a new option in the video settings, "use VBO." This feature apparently gives about a 10% increase in performance when set to "on," by reassigning some of the processing from your RAM and CPU to the GPU. 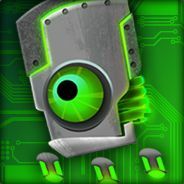 For a little more information about this setting please see the following link (http://gaming.stackexchange.com/questions/177257/what-is-the-use-vbos-setting). Now seems to be a great time to get back into Minecraft, if you've been away from it for a while. There is still much that I have not covered, so I recommend checking out the wiki for the full release notes. I have been preparing my character for the discovery of a water monument. I created some water breathing and night vision potions, as the wiki suggests. I used red stone to increase the duration of both potions and then I went out in search of a water monument. I did finally find one, they are located in deep ocean biomes and are under water. You may see them as you are riding around the ocean on a boat. I went down into the monument I found and came across some of the new guardian mobs. Unfortunately, I did not survive. What's worse is that I did not write down the coordinates to the monument's location, so I'm not sure where it is, but I'm looking again. I agree with the wiki's suggestion of bringing good gear. I don't think my gear, made of iron, was sufficient. Interested to hear in what it takes to survive those mobs. Also, if you could snap a image of the water monument I’d be interested in checking it out. The wiki doesn't seem to suggest what materials to use for recommended gear, but it does recommend "enchanted armor," water breathing potions, and invisibility potions. This is actually the first time I've ever created potions in the game. Found it again (I believe it's the same one I found before). Check out some of the screenshots I took (http://gregopeck.imgur.com/). I created an album for them. Keep in mind, you can only see the very top of the monument in these pictures. I also found something posted in the Minecraft forums (http://www.minecraftforum.net/forums/minecraft-discussion/recent-updates-and-snapshots/2109912-giant-ocean-monument-info-thread). One of the things I found out from this post is that there is a new enchantment, "Dept Strider," for boots, which helps swim through the monument. Nice. Is that a kind of one-eyed fish? Some what, it's one of the new mobs, guardians. I believe it can drop fish when defeated, but I haven't killed any yet. I'm currently looking for more diamonds so I can craft a full set of diamond gear before I return to the monument. I liked the part where the Creeper started singing. The guardians in the ocean monument are tough and can seriously take a beating. After collecting enough diamonds, I created diamond gear (armor and sword) and enchanted each piece. I used the new Depth Strider enchantment on my boots, which helped me get around in the underwater ocean monument. I also brought along water breathing potions, which had an extended duration thanks to using some red stone. I was able to defeat two out of the three elder guardians, I was not fortunate enough to find the third. I made multiple trips to the monument as I was killed quite a few times. Sadly, I was hurt enough that some of my armor broke and now I need to find more diamonds. Luckily, I found some melons in a jungle, so now I can make regeneration potions. While the wiki recommends night vision potions, I found this suggestion unnecessary as my brightness setting is set to "Bright." If anyone is interested, I can give you the number for the seed of my world and also the coordinates of where the monument is located. Previously, with a Google search, I found out that there is an app that can tell you where these monuments are found, but I didn't use it. Opps, slight correction, I need Ghast tears to make regeneration potions, melon seeds help make healing potions, not the same thing. I beat the final Elder Guardian, but forgot to get my loot! I didn't know that there were 8 blocks of gold hidden in one of the rooms. Check out this video about Ocean Monuments: http://youtu.be/sCmV4v1bvqI. Yesterday, I decided to test out the new world creation customized presets. Some of them seemed very similar, some were interesting, and some looked liked death traps. In "Water World", I barely found any land at all, certainly no caves, just a group of very small islands. I also spawned deep under water, luckily I was in Creative mode. In "Good Luck," I found that oceans were no longer filled with water, but lava instead. Finally, I found one that I quite liked called "Drought." This one removed almost all of the water that's usually located in the oceans. I thought this was interesting because I could now see the sea bed, which led to a few discoveries. Not only did I find a series of abandoned mine shafts, or two, but I also found an Ocean Monument. This made the monument very easy to find. I've uploaded a new screenshot (http://imgur.com/xDvRuOd), so take a look! That's a interesting picture. Looks like the water is in a bowl. I haven't wanted to really post anything about all the news that Microsoft may buy Minecraft developer Mojang, even if there was every reason to believe it, until we got confirmation. Well, today we have it. The official Mojang blog has a statement about it this morning. Currently, details are sparse, there's a lot of "We don't know" in this statement, and that's fine. It's still early days. In short, Notch wanted to focus less on running a massive company and decided to sell. Mojang and Microsoft have a good relationship, and it seemed like a good fit for continuing Minecraft's development. I'll say it seems... Read All I haven't wanted to really post anything about all the news that Microsoft may buy Minecraft developer Mojang, even if there was every reason to believe it, until we got confirmation. Well, today we have it. The official Mojang blog has a statement about it this morning. I'll say it seems like a great deal for Microsoft too. $2.5 billion seems pretty cheap for the game every 7 and 8 year old can't stop talking about. I totally understand his reasons, if the news isn't a bit sad. An interesting information nugget. Disney bought LucasFilm+everything for 4 billion. This news makes me kind of sad. I remember watching the Minecraft documentary and seeing how overwhelmed and humbled Notch was upon the explosion of the game. It got way bigger than he ever dreamed. I some how feel that I can understand his point of view. He is just a programmer having fun, not a CEO or someone who wants to lead a large company. I don't hate Microsoft and I feel that this news only reflects the huge success that Minecraft has been. Still, I wonder about the game's future. I hope it continues to evolve as it has been. They've said that they won't mess with the platforms that it's on, so we don't have to worry about them taking away the Linux and Mac versions, so that's good news. 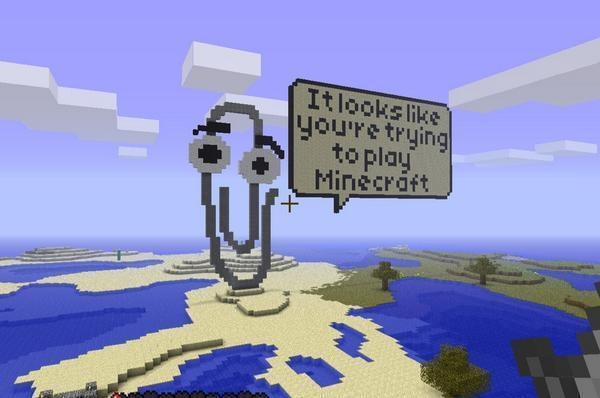 I can't imagine Microsoft would make the major mistake of messing up Minecraft. What I hope is that they'll take what they have and continue down the same path. Now, Minecraft 2, if such a thing comes to exist, I do wonder about. But I hope they'll realize how amazing an open-to-all game like Minecraft was and continue down the same path. They have to know they'd have egg on their faces for years if they try to interfere with what's been working for years. I agree with you, I can't quite imagine them messing it up either. 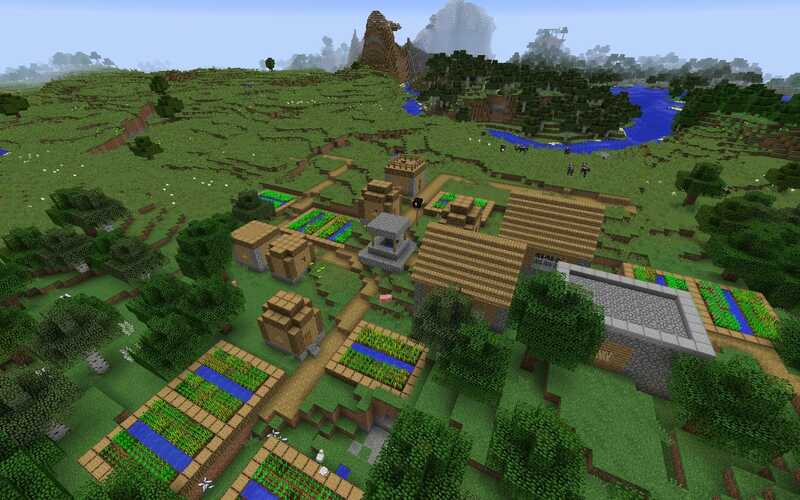 It would be interesting to know what Microsoft has in store for Minecraft. I'd like to see development continue. I think there are still very many things that could be added to the game. For instance, there no birds. I swear in one of the videos Vinny was watching there were birds in the game. Maybe it was just a mod. I think bugs would be a cool addition, too, and if they could be used as bait like in Terraria. Currently fishing doesn't require any kind of bait. There are lots of other animals I thought it would be cool to see in the game. I agree with you Travis, but I would find it hard to believe Microsoft wouldn't do something special for XBox One or make it an exclusive for some time. That said, it's all speculation and I do hope for the best with Minecraft. If they did that, exclusives for XBox One, etc, that would just piss off too many people, and I think they know that. I hope it works like Skype-- they bought Skype, and with the exception of being able to log in with your Microsoft account, nothing has really changed. I wonder who else was in the market to buy Mojang? Microsoft has the money, but I question whether or not they have the passion for such an investment, beyond their own corporate needs (i.e. making more money). They likely won't mess with the current iteration of Minecraft, but future releases are now inevitable, and it's what they could do that bothers me. Microsoft is better at making deals than making things. If they are smart, they'll leave it alone and just throw money at the people that stay on at Mojang, and let them do what they do best. It seems, though, that any time this much money is involved in a deal, the buyers input also becomes part of the deal. I wonder what Microsoft's input will be. Thinking Minecraft 2 might be some kind of MMO or online game where you get/rent worlds or something. That said, in such a case I could see a fair amount of exclusivity. Will they change current Minecraft? That seems less likely. That said, Notch originally said he wanted to release Minecraft as Free Software, kind of think there is little chance for that happening now. "I am recreating ‘Star Wars – A New Hope (Episode IV)’ the FULL film in vanilla Minecraft. Minecraft – Star Wars – A New Hope is a transformative fan-film spoof parody based on the 1977 film ‘Star Wars – Episode 4′ It will be 100% FREE to view! NO money or profit is to be made from this project and monetization is disabled. It is being created by a fan, for the fans. This project has been 3 years in the making and some of the individual sets have taken upto 6 months just to build. No mods have been used, just custom textures and art. To watch the final film with sound you will need the original 1977 version of the film in your DVD/Blu-ray player." I am very interested in... Read All "I am recreating ‘Star Wars – A New Hope (Episode IV)’ the FULL film in vanilla Minecraft. I am very interested in watching this when it is finished. The website says the final version should drop in 2015 and be available for free for anyone to view. Are you interested in checking out Star Wars re-made for Minecraft? I can't imagine actually watching the whole thing, but you have to be impressed by the dedication. Yeah, totally. I will most likely watch it in the background as I am programming. Minecraft fans are amazing. When the game first dropped and got popular people spent lots of time building cool stuff in the game. One such thing I will never forget was The Enterprise that was featured in the Minecraft movie. 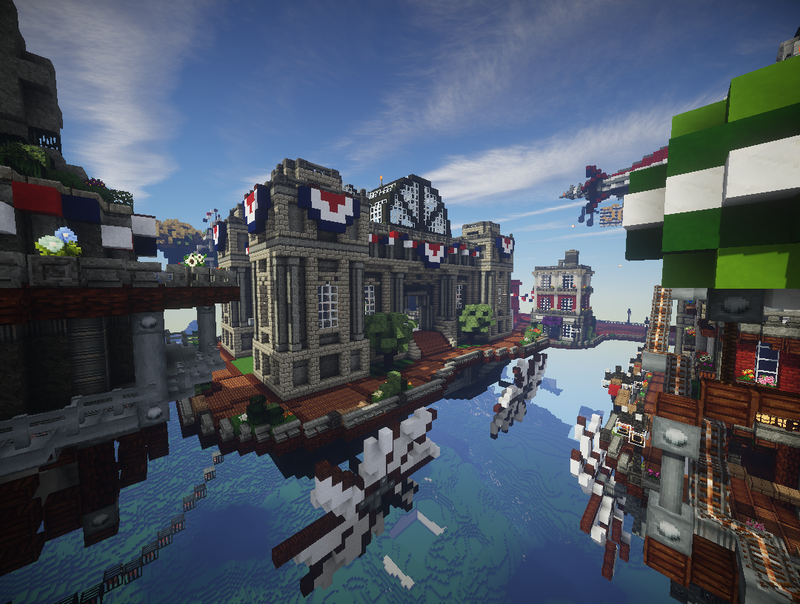 Seems someone decided that the floating city of Columbia, as seen in BioShock infinite needed to be built. http://imgur.com/a/H38m9 Minecraft fans are amazing. When the game first dropped and got popular people spent lots of time building cool stuff in the game. One such thing I will never forget was The Enterprise that was featured in the Minecraft movie. Seems someone decided that the floating city of Columbia, as seen in BioShock infinite needed to be built. Those are great. I also love the crazy Westeros ones also http://westeroscraft.com/ That's the Game of Thrones world. This is pretty impressive, but that Game of Thrones business is completely insane! I will never play Minecraft again, having the knowledge now that I'm doing it all wrong. Yeah. I sort of treat Minecraft like my own personal survival island game. So very lonely. After the big change in world generation in version 1.7, Mojang is taking things farther in 1.8 by allowing you some direct control over the world generation process. For me, one of the best things about Minecraft, Terraria, and the other games like them that have randomized worlds is the pure surprise of what you might find. However, it's always annoying when your favorite biome is smaller than an airplane bathroom. A little personalized tweaking is a welcome change. And if you want to reenact Water World or recreate Rapture, now is your chance. Beyond terrain generation, you can set sea level and flood the world if you like. After the big change in world generation in version 1.7, Mojang is taking things farther in 1.8 by allowing you some direct control over the world generation process. And if you want to reenact Water World or recreate Rapture, now is your chance. Beyond terrain generation, you can set sea level and flood the world if you like. Cool, I was thinking of this recently. I thought it'd be cool if, when creating a new world, you could choose which biomes are there. This was after thinking that not all biomes appear in a new world, but after some Googling, it seems that every biome is included in every new world. Every biome is included in every world, but then there are also more virtual square miles in a Minecraft world than there are square miles on Earth. A guy has been walking in a straight line every day for three years and still hasn't even come close to reaching the end. I think I read he has about 70 years left to get there. Wow, yeah, I was reading about that recently as I was investigating the number of biomes in a world. BTW, I mentioned you in a comment on Jon's Starbound post, check it out. =) Also, I was really surprised to see you post some Minecraft news since you said you weren't really that into it. After playing with the server (along with my son and one of his friends), I decided to play some Single player Minecraft. It's funny because when I create a new world, I often delete it and create a new one not long after exploring the first one. I guess it just depends on where I spawn and what's around me at the time. 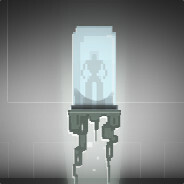 Yesterday, I saw an icy kind of biome that I never saw before, but that world was promptly deleted. I think I'll keep the last one I created though. Also, today I noticed, on the main menu, that Minecraft Realms is now available. Since I had no idea what that was, I looked it up. Apparently, it's a way to connect to other worlds (or servers) and costs about $18/month. I'm not going to be doing that. Lately, I've taken up my son's habit of watching someone play Minecraft on YouTube. Before I started playing (around last Thanksgiving), I watched Paul Soares Jr.'s Minecraft Survive & Thrive series, which consisted of about 80 videos. It was awesome. I really like Paul, he's cool, he's funny, and he mentions geeky things sometimes. Also, he doesn't scream in his videos (unlike SkyTheKidRS). I've been watching his Paul Plays Minecraft series and I may even start watching his Minecraft multiplayer videos. He also has some for Terraria. Minecraft realms is a really great idea. Maybe, I'm not sure I agree though. Maybe I just don't know enough about it. What I read said that it makes it easier to connect to other worlds, but I haven't realized the difficulty in doing so. On second thought, after setting up a server, I guess it is a good idea if it makes it easier to create a world that others can join without having to go through setting up a server. Yeah, that's the idea as I understand it. Playing locally is easy, but if you want to play across the US or the Globe, it is harder. Yeah, Realms is amazing. I have no need for it but it comes with so many server options and parental controls. It's a little expensive, but awesome.